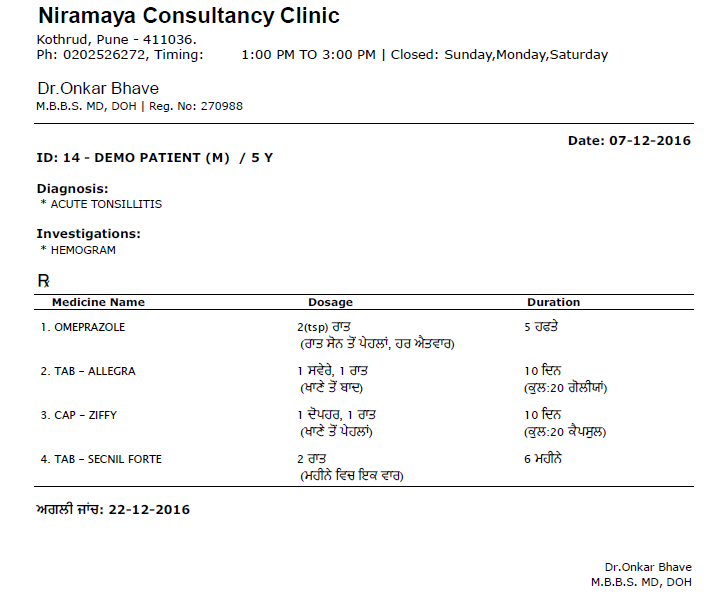 MyOPD Clinic Software now empowers Doctors to print prescriptions in Punjabi Language. A clearly written prescription in Punjabi will go a long way in helping your patients understand the medication better. 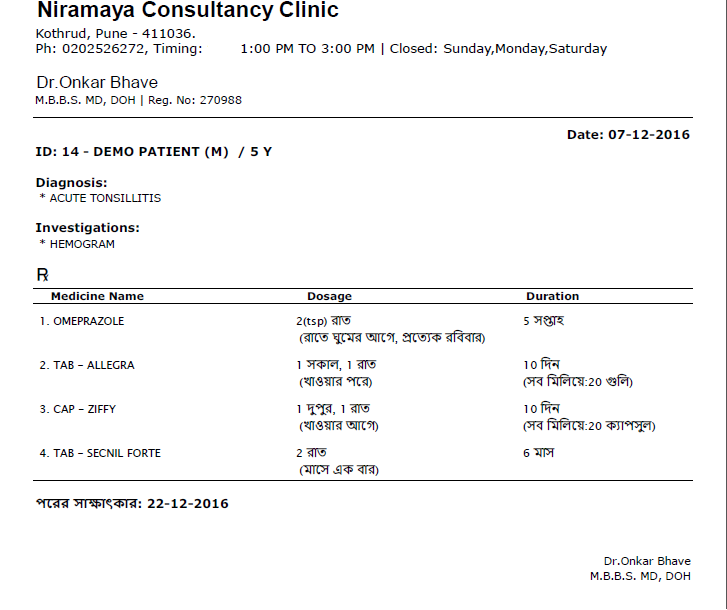 What’s more, you may print this prescription on your own letter head as well. This entry was posted in Informative and tagged #punjabi on December 8, 2016 by Team MyOPD.